Galois fields and the finite Projective geometries that arise from them are introduced. The order of the collineation group for the finite geometry PG(N,q) is derived. Some particular cases with small values of N and q are described in detail. 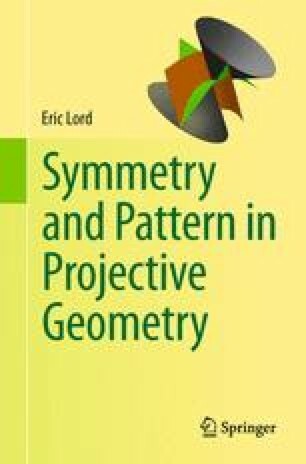 Some of the linear factional groups (homographies on finite projective lines) of special interest are presented and their relation to Steiner systems and Mathieu groups is explained. Finally, some remarkable special configurations are described, such as Coxeter’s ‘12 points in PG(5,3)’, and ‘24 points in PG(11,2)’, which are geometrical realizations of Golay’s ternary and binary codes.